What is the remedy after a hard day’s work? For me, definitely a good dinner! But actually, as a substitute, I can choose a good conversation over a cup of coffee or… ehem… probably with light dinner or good snacks. Haha.. Well, that’s originally what I had expected. When it comes to this rare occasion (since we rarely go out after work especially in weekdays), me and 2 of my colleagues decided to try a new place for a change. Anywhere for coffee! Originally, we decided to visit Anomali in Senopati. But since the congestion always disturbing during after working hours down to the south of Jakarta, my colleague who happened to be the driver and the owner of the car we’re riding in (that’s a bargaining point for her to decide which way to go) suggested that we should seek another place around Menteng to avoid the mess. But to where? I mean I know a couple of places there though I haven’t had a chance to visit it that time like the Bakoel Koffie or Cafe au Lait or Lara Djonggrang or anything else, instead of that she suggested that another place as recommended by her friend. So the place was Cali Deli in Jl. Surabaya, Menteng. We were led astray for a while thanks to her ‘good’ sense of direction but well… I have nothing to object since I didn’t know the way around there either. So the place seemed nice from outside judging from the lighting and the outdoor concept. They also put seats inside the cafe, but it appears to be more comfy outside. They do have the sofa but it was occupied so we were seated in a standard small table, not too comfy and most of all, plenty of mosquitoes and the dampness that made it uncomfortable. Well, to the menu then! Ah so, Cali Deli is well.. a sandwich deli with the touch of Vietnamese flavor. Exactly at that time I recalled that some of my friends from another department used to order sandwich delivery and from this Cali Deli! Well, honestly, the delivery never came and they were left famished that lunch. So then I need to be prudent! I ordered the Tuna Egg Sandwich (IDR 33,000) and left my colleagues to pick probably the best (that’s what the waitress recommended), the Combo Sandwich (IDR 43,000) and Turkey Sandwich (IDR 43,000). Here’s the tip, guys. If you’re being cautious, pick the most familiar one or take an example from an austere guy like me especially when you meet a place as dubious as this, pick the one with the safe toppings. Tuna and egg have always been the best couple in sandwiches because they blended perfectly. 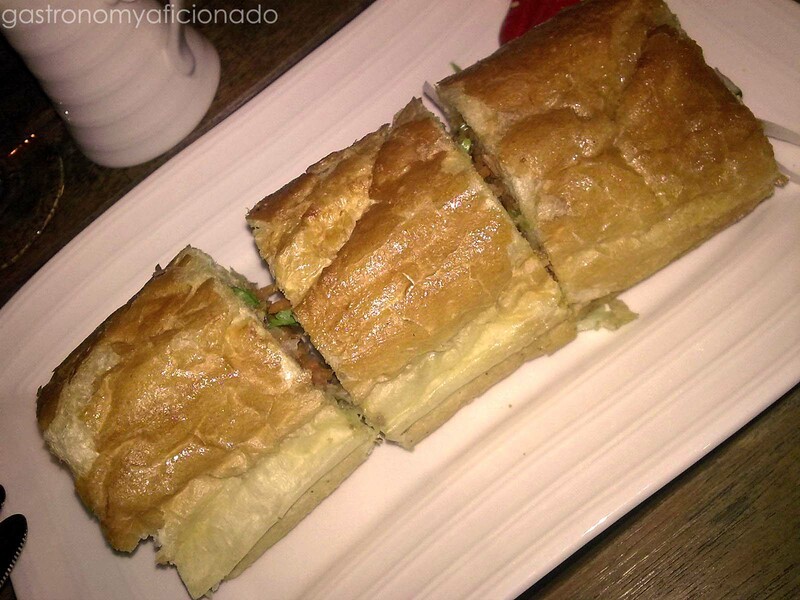 So people, get yourself acquainted more with sandwich coz it’s gonna lame if you pick rice every time you got hungry. 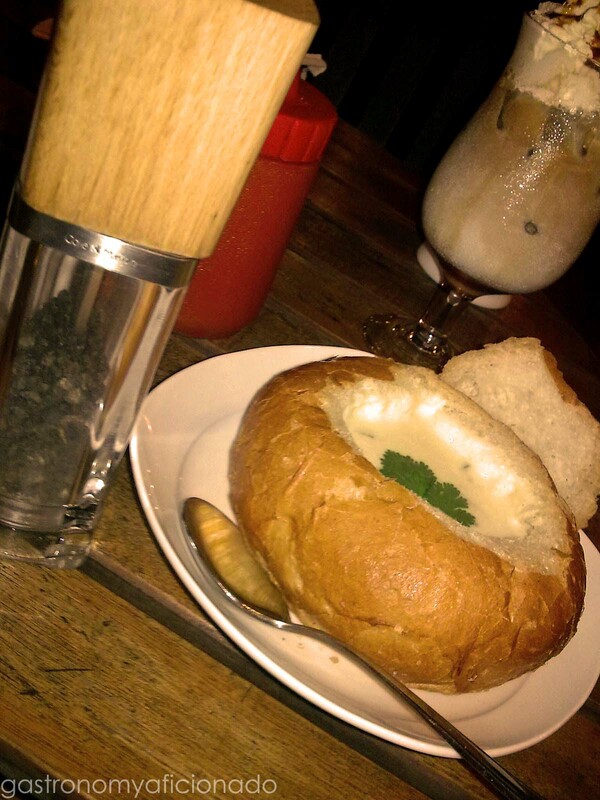 Ah, my friend also ordered a Mushroom Soup (IDR 30,000) for appetizer. Jeez! IDR 30,000 for a mere soup! That ought to be special. 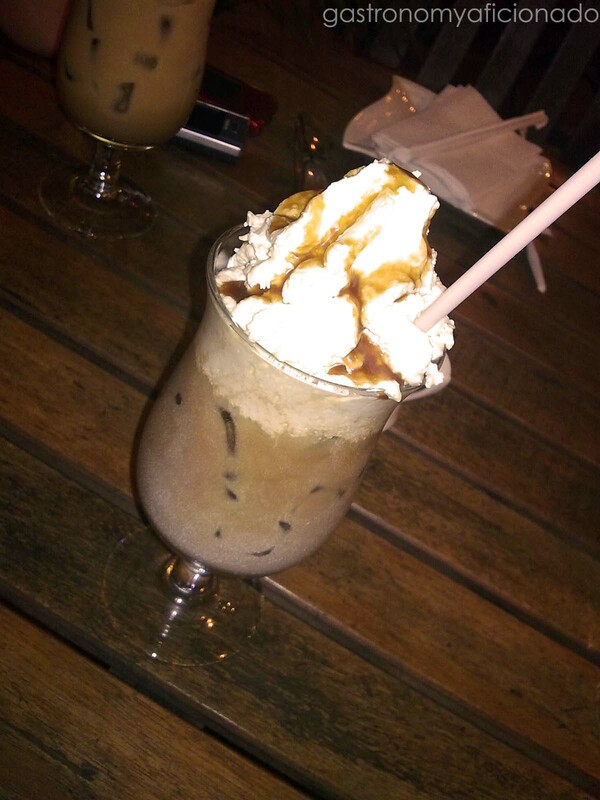 Plus since we originally intended to have a cup of coffee, well we ordered Iced Coffee Caramel (IDR 28,000). A word of advice for you. If you’re not a huge fan of coffee or if you prefer a sweetened one, pick the one with caramel. That would be safer. As for me that time, my policy was to play safe but at least I was willing to spend! Unlike nonsense people who keep asking and wanted the world to revolve for them but still don’t want to spend. Such hypocrisy won’t get you anywhere to explore the depths of culinary experience! Well if not because they failed to deliver it to my next door department friends, they won’t receive this kind of treatment from me. Then along came the soup. Oh the bowl made out of bread! Probably that’s what made it a bit pricey. But I mean, still, it’s only a small loaf of bread for God sake and it’s overpriced! If it’s worth around IDR 15,000 then it would still be acceptable. Probably it was made pricey with the concept that the customers’ stomach would be full with only a single soup. So why not make it expensive and then when they got full, nobody wants to try the goddamn sandwich anymore or vice versa. Hello! What are you trying to sell then?! A soup has always been an appetizer everywhere, so why not make it more compact and acceptable in terms of pricing and taste so that the customers would gladly continue for the main dish. The sandwich!! Jeez.. You’re ripping off everyone by doing this way. And by the way, the soup was just so so in the end. It’s not special indeed for a IDR 30,000 soup! Now we can move to the sandwich. I had high hopes that this one would be special but then again it was not! Well, so my sandwich was okay. My prudence proved to be the better part of the day, but the Turkey and the Combo sandwiches were terrible! First, they have different dressing. They put this minced carrots, cucumbers, onions, and strong coriander leaves that ruined the flavor to be honest. I asked them to bring me at least a mayonnaise or mustard to save the day. You know what they said?? They said, “Sorry we don’t have any mayo or mustard here”. – Service Tax = 5%. Why the hell did they put 10,5% for the tax?? This gotta be a fraud!!! It’s damp outside and it’s not even more comfortable inside! They simply didn’t do their best to design the place. At least if it’s hot outside, make the lighting more relaxing and more fans please! Less than satisfactory. The waitress even has to think what a mayo is when I asked her. Crap soup, crap sandwiches, and average coffee! Miserable place! Too pricey for craps like these. I have said enough about this sad place. Still if you’re stubborn, then go ahead and try. mengenai saos sambel dkk sebetulnya resto2 jepang juga nyediain kok seberapa ga nyambungnya. bahkan banyak restoran makanan barat juga ‘terpaksa’ menyediakan sop buntut utk customer2 yg ga terbiasa makan makanan ‘asing’. jadi semestinya perkara saos sih udah default di resto2 yg ga upscale spt cali deli. utk resto upscale yg proud sama makanannya tmpk wajar kalo ga sedia krn mrk idealis soal makanannya meski itupun jarang bgt di indo yg ampe ga sediain saos sih.